It’s the start of a new era. 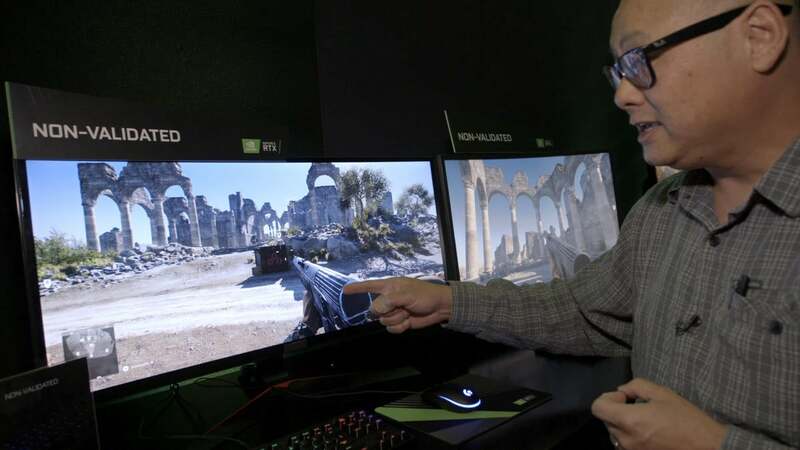 On Tuesday, Nvidia fulfilled its CES promises by releasing GeForce driver 417.71, which lets GeForce graphics cards tap into the Adaptive Sync capabilities of AMD FreeSync monitors for buttery-smooth, tearing-free gaming. Previously, GeForce GPUs could only synchronize their refresh rates with Nvidia’s own G-Sync displays, which tend to cost much more than FreeSync displays. You can snag the driver in the GeForce Experience app or on the GeForce website. It’s not quite plug-and-play, though—at least in most cases. The driver will automatically enable variable refresh rates on FreeSync displays that meet Nvidia’s strict “G-Sync Compatible” requirements. Yours probably doesn’t though; of the 400 Adaptive Sync monitors that Nvidia says it’s tested, only 12—yes, 12—earned the certification. 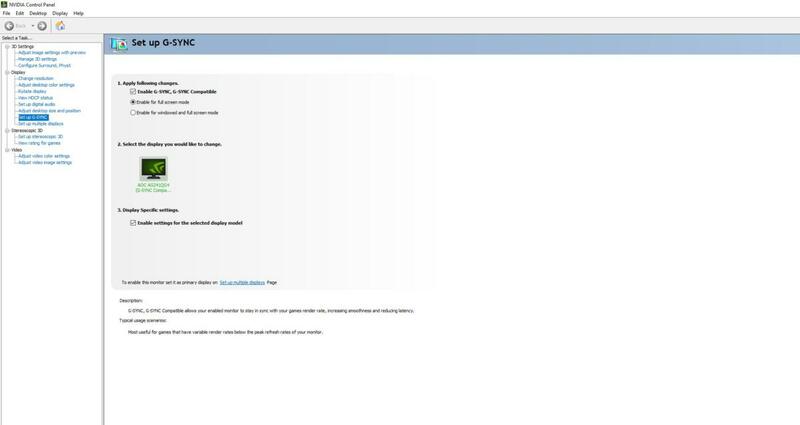 “If the above isn’t available, or isn’t working, you may need to go to Manage 3D Settings, click the Global tab, scroll down to Monitor Technology, select G-SYNC Compatible in the drop down, and then click Apply,” Nvidia’s announcement post says. Even though AMD Radeon GPUs and some FreeSync monitors support Adaptive Sync over HDMI, Nvidia says you’ll need to connect your GeForce GPU to your FreeSync monitor using a DisplayPort cable to activate variable refresh rates. (G-Sync monitors only work over DisplayPort as well.) Update: Adaptive Sync is only being enabled on GTX 10-series and RTX 20-series graphics cards as well, with no plans to activate it in older GPUs. 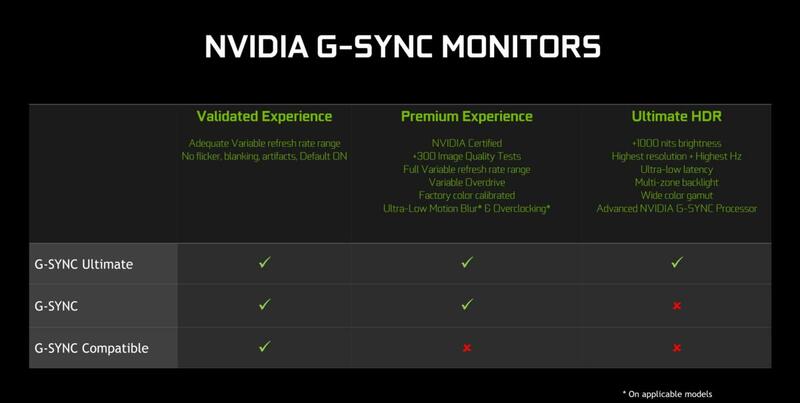 And only Adaptive Sync displays certified as “G-Sync Compatible” are guaranteed to work well with Nvidia graphics cards. If you try manually activating G-Sync on other FreeSync monitors, “It may work, it may work partly, or it may not work at all,” Nvidia says. Unlike G-Sync displays, which are all fully tested and certified by Nvidia, FreeSync monitors are built around an open standard with much less oversight. Don’t expect such ghastly results with most FreeSync monitors, though. The Nvidia subreddit created a GeForce driver 417.71 megathread and public Google spreadsheet to crowdsource compatibility details for FreeSync monitors. Most work just fine. Don’t expect Nvidia to bend over backwards to support ones that don’t, however—it’s still selling full-fledged G-Sync displays, too. Nvidia maintains a full list of G-Sync Compatible, G-Sync, and G-Sync Ultimate displays. The Adaptive Sync driver isn’t Nvidia’s only debut today. 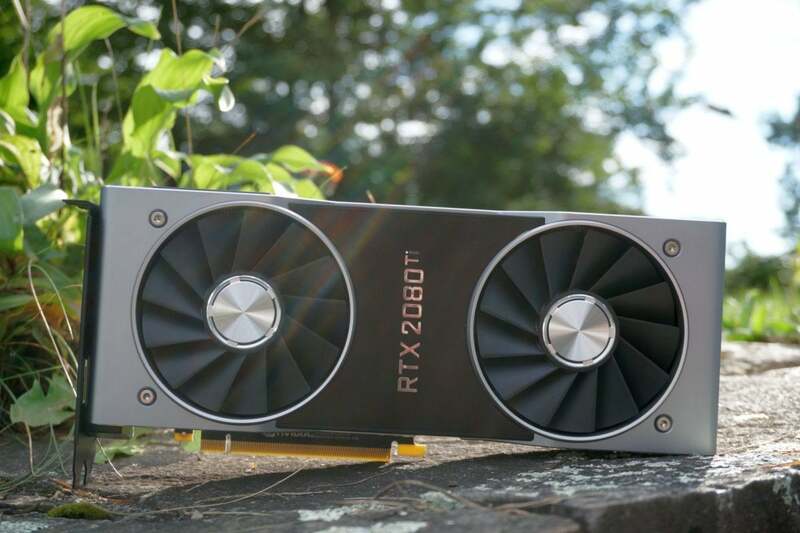 The GeForce RTX 2060 launched too, and it’s a great 1440p or high-refresh rate 1080p graphics card that brings ray tracing and other RTX technologies to a much more palatable $350 price point. Check out our GeForce RTX 2060 Founders Edition review for the full scoop.